I’ve seen a few people today moaning about last night’s result. The fact that we beat Porto 5-0 last year has meant that plenty of Reds had taken victory for granted last night; a fact that was evident by the somewhat flat atmosphere around Anfield for the majority of the match. The reality is that it was pretty much the perfect result from a Liverpool point of view. No away goal conceded, two goals scored to give us an advantage to take to Portugal and the players barely had to come out of second gear ahead of the visit of Chelsea at the weekend. Did people really think that we’d just roll them over and that Sergio Conceicao wouldn’t prepare his team not to be embarrassed in the same manner they were last time out? They worked incredibly hard just to keep the score at 2-0 and we had a few gears to go through, had we needed to. The tie isn’t over, but it’s about as close to it as it’s possible to get. Liverpool have never lost in European competition after winning the first game at Anfield 2-0 (7/7). Porto have never comeback 2-0 in the continental tournaments (4 /4). As Mister Chip pointed out on Twitter, Porto have not come back from a two goal deficit after four attempts and Liverpool have not lost a tie after winning the first-leg 2-0 in the previous seven times they’ve achieved it. Of course anything could happen and it would be silly to suggest that we don’t even need to turn up at the Estádio do Dragão, but this Liverpool team is far too experienced to throw away such a lead at this stage of the campaign. Too many people are still obsessed with last season’s rock n roll football, where we would destroy teams but look open at the back throughout. We’re far more balanced this time around and are doing what we need to do to get where we need to get to. The result was the definition of professional and it means that we can go into the weekend’s game full-throttle without needing to conserve much energy for the second-leg. Which is just as well, given that we face emotional demons as well as a very good football team. I’m writing this piece before Chelsea play the first-leg of their Europa League encounter with Slavia Prague, so I have no idea whether or not Maurizio Sarri has decided to rotate his players and focus on the league or whether he’ll be doing that for their trip to Anfield. He did say prior to his club’s game against West Ham on Monday night that they’ll ‘need to change’ and that he plans on ‘juggling’ his team, but he didn’t make clear whether that meant playing a weakened team in the Czech Republic or going strong there before rotating when they arrive on Merseyside. 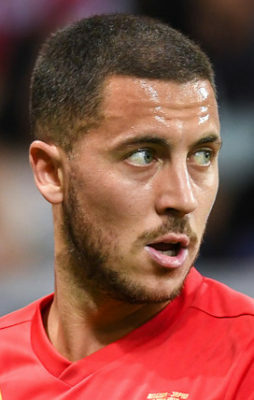 Certainly most of us will be hoping that Eden Hazard plays in the Europa League but gets rested ahead of our match, given how much he turns it on when he arrives at Anfield as though he knows the scouts of Real Madrid will be watching so be better play well for once. FT: Chelsea 2-0 West Ham. That being said, he didn’t start against us in the League Cup but still came on with just over half an hour to play and scored a brilliant goal to give Chelsea a win that started them off on a journey all the way to the final. The thing I’m cling onto is the fact that he played against a Liverpool defence that included Joel Matip and Dejan Lovren alongside each other, with Nathaniel Clyne and Alberto Moreno in the full-back positions and Simon Mignolet in goal, so it wasn’t exactly the A-Team. He did start against Joe Gomez and Virgil van Dijk in the league at Stamford Bridge, however, and scored, so even that hope of mine might prove flawed. The reality is that there’s no way of telling which Hazard we’re going to have to cope with, if for no other reason than it’s difficult to tell how serious Sarri will take it when compared to possible progress in the Europa League. That’s six losses on the road against teams that they’d have hoped they could get something from, with the definite exception of Manchester City and the possible exceptions of Arsenal and Tottenham. They haven’t played away from home yet this season, but they did lose to Everton in the middle of March before beating Cardiff thanks to some incredibly fortuitous refereeing, so they’re not exactly in the best of form away from Stamford Bridge. That you have to go back to the 2011-2012 season to find a win over the Blues at Anfield is shameful, especially when you consider the quality of sides that we’ve had during that time. This campaign is one in which we’re hoping to banish ghosts of our past, however, so there’s no better time than the present to put them to the sword. I firmly believe that we’d have won the title if we’d beaten Roman Abramovich’s team in 2013-2014, so let’s put that wrong to right this time around. With Four Games To Go, What Will Make A Successful Season For Liverpool FC? Is Liverpool’s Away Form A Cause For Concern?